In the final phase of the UK’s GATEway Project, members of the public are being asked to test drive automated pods in the Greenwich Peninsula in London over the next four weeks. 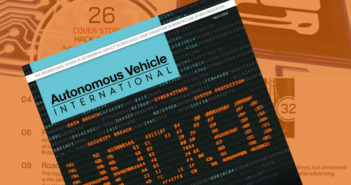 The researchers are studying public perceptions of driverless vehicles. The research has involved collaborations with developers Westfield Sportscars, Fusion Processing, Gobotix and Oxbotica. The study’s primary focus is on people. 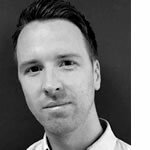 Throughout the project, qualitative research has been conducted by the Transport Research Laboratory (TRL), the University of Greenwich, Commonplace (an online consultation platform) and the Royal College of Art, exploring how we feel about using and sharing space with self-driving vehicles. Over the past five months, the GATEway pods have generated considerable interest as they have travelled around the Greenwich Peninsula undertaking the first phases of the trial. More than 5,000 people have already registered their interest in taking part in the final phase and will have priority booking for one of several journeys undertaken each day. Members of the public who have not registered will still have an opportunity to take part, during a series of drop-in sessions. 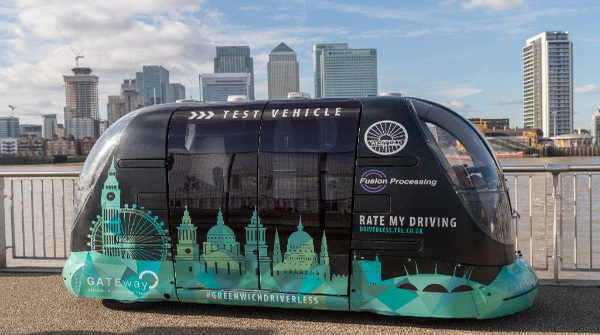 In this phase, four driverless pods will be navigating a 3.4km route around the Greenwich Peninsula, using sensors and autonomy software to detect and avoid obstacles. Developed by British companies Westfield Sportscars and Heathrow Enterprises, and controlled by an automation system created by Fusion Processing, the pods have no steering wheels or typical driver controls. Instead, Fusion’s software CAVstar combines GPS with radar (for long range) and lidar (for close range) to enable the pods to detect and safely negotiate objects in their path. This also allows the pods to operate in adverse weather conditions and even in the dark. Although the GATEway vehicle is designed to operate without a human driver, a safety steward will remain onboard at all times, complying with the UK’s code of practice on autonomous vehicle testing. GATEway is jointly funded by government and industry. The government’s £100m (US$139m) Intelligent Mobility fund is administered by the Centre for Connected and Autonomous Vehicles and delivered by the UK’s innovation agency, Innovate UK.